...different industrial sectors are moving towards automated processes. ...manufacturing companies are demanding skilled workers (operators, technicians, engineers) in the new technologies associated with automation. ...SMC, by being the worldwide leader in providing solutions to the global market is aware of the real industrial need. ...SMC International Training has specialized in identifying the skill demands in automation and provide training solutions to face the challenge. ...technical colleges and universities require the expertise and support from industry leaders to satisfy the demands from their community. ...SMC wants to contribute to this demand by structuring a powerful programme providing international standard certification in automation / mechatronics. Complete International Certification programme based on the skills development associated to Automation technologies. 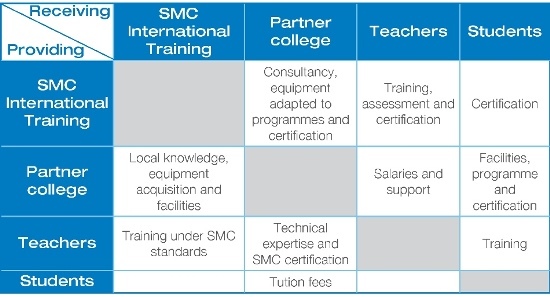 SMC International Training has developed a Competence Center model where all participants contribute and receive skills. 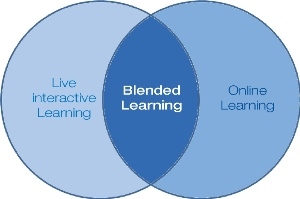 Blended learning provides the perfect combination to accomplish the training objectives. Highly interactive e-learning modules allows the student to go through the fundamentals of the different technologies, whereas the state of the art training equipment allow the development of different skills needed in the automated industry. Online assessment of the fundamentals and skills evaluation on the equipment, will allow the center to certify the students with a recognized international industrial certification. 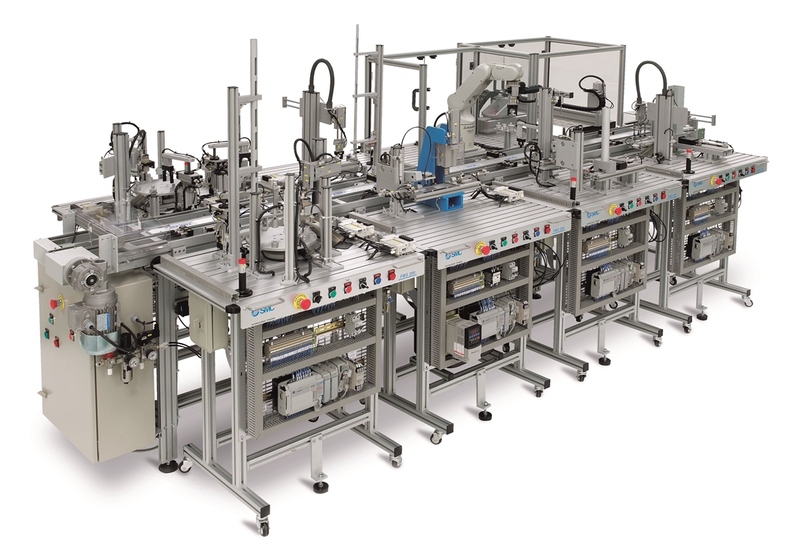 The wide range of courses and training equipment will allow this model to adapt to any technical programme in the fields of automation, industrial processes and mechatronics. The equipment also enables the center to use controls/robots used in local industry. SMC International Training team is able to support most of the recognized PLC and robotics brands in the global market and integrate them into the training systems. The partner college can choose to suit local demand. SMC International Training will guide the partners over the process. PARTNER COLLEGE: Prestige, Income / ROI, International network Competence Center. 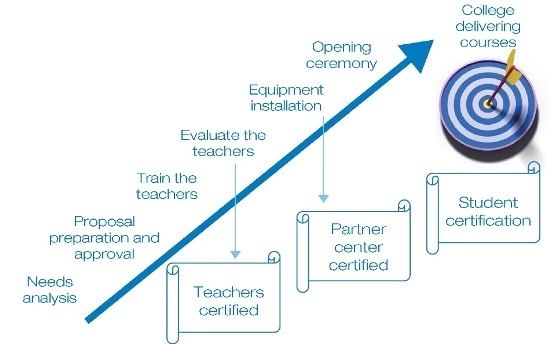 TEACHER: Training to industrial standards, Upskilling, Certification, International network membership. STUDENT: Skill development, Credited programme, International Industrial Certification.